The Blockchain bitcoin wallet is accessible on your smartphone as well as on your browser, such as Google Chrome and Safari. Each is accessed in slightly different way. Both the browser and smartphone versions may be paired seamlessly, but we have found that the procedure to pair the two versions is easier when the browser version is installed first. If you’re planning to use both versions and would like to pair the two, we would suggest that the browser version be configured first as outlined here. If you have already done that, or would like to use only the smartphone version, please see the following steps to install the Blockchain bitcoin wallet on mobile devices and smartphones. If the links above do not work, do a search for Blockchain bitcoin wallet on the respective Store. The Blockchain bitcoin wallet is a free app and you do not need to pay anything for it. Once you have installed the Blockchain bitcoin wallet from the links above on your smartphone or other devices, head back here and follow the instructions below. You will also need an email address which will be associated with your wallet. Launch Blockchain app on your smartphone. Click on Create A Wallet. On the following screen, key in your Email and a secure Password you can remember. Confirm the Password by retyping it, and click on Create Wallet. Key in a 4-digit PIN that you can remember. Confirm by re-keying in the 4-digit PIN to make sure you got it right. Next, log in to your email account and check your inbox for an email from Blockchain that looks like the one as shown below. Click on Yes, This Is My Email. Return to the Blockchain app on your phone. You should be already logged in by now. You are now ready to use your Blockchain bitcoin wallet app on your smartphone and mobile devices. Read on to discover the features in the app. The Blockchain bitcoin wallet app is surprisingly quite simple in its design and interface, and for a good reason. It is user-friendly for everyone from any background to use. The screenshots below show the various app setting and features on iOS devices, which are similar for Android devices as well. We will first explore the preference settings of the app and get these correctly configured before proceeding to use it. 1. If you are not logged in yet, launch the Blockchain app on your phone and log in with your 4-digit PIN. 2. The first screen shows your Wallet Balance and list of transactions. We will first be exploring some preference settings – click on the Menu icon represented by the 3 white lines on the top left of the screen. 3. The menu opens with a list of preferences and settings to be configured. The links to receive Support as well as to Log Out are also found at the bottom of this menu. We will go through each of the other items as follows. 4. To backup your wallet funds, click START BACKUP. You will be presented with 12 keywords in sequential order. Write these down in the correct order. Should you forget your password, the Recovery Phrase made up of any of these 12 keywords will be required to recover your funds. You will see the screen at left once this process is completed. 5. Go back to the Menu list and click on Settings. You will see the screen at left. Key in any information that may be missing such as your mobile number, and set your preferred settings for notifications, bitcoin units and currency accordingly. 6. Scroll further down for other settings and preferences. You may change your password and PIN here, as well as turn on Swipe to Receive and Use Touch ID as PIN. Swipe to Receive is not found in the Android version, but there is an option to Block Tor Requests. 7. Next item on the Menu list is Addresses. This is where you manage existing and add new wallet addresses for your different bitcoin sources and purposes. 8. The Merchant Map shows restaurants and other establishments that accept bitcoin payments. In the Android version, you may also add new locations. The GPS or Location functionality on your device needs to be turned on, otherwise an error message such as the one seen here will be shown. Let’s get back out of the Menu and return to the Transaction screen. We will now explore using the Blockchain bitcoin wallet app for sending and receiving funds in bitcoin. 9. At the top of this screen is the available balance in your wallet shown in bitcoin. Below that are previous transactions carried out. 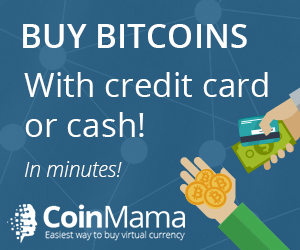 Clicking on any numerical amount on this screen will toggle between the value in bitcoin and the current equivalent amount in US dollars, or the currency you selected in Step 5 above. Note the Send at bottom left ( → Step 10), Receive at bottom right ( → Step 11) and the Scan QR Code icon at top right ( → Step 12) on this screen. 10. To Send funds, key in or paste the receiver’s bitcoin address in the To field, key in the amount in bitcoin (BTC) or in USD (or your selected currency set in Preferences), and click Continue. You may also click the Scan QR code icon at top right, if a QR code is presented to you as request for payment. 11. To Receive funds, tap and hold the string of alphabets and numbers below the QR code shown to copy it to your phone’s clipboard. You may then paste this on your messaging app and send it to the sender by email, instant messaging or SMS. If the sender is with you, you may also show him the QR code so that he may scan it with his own bitcoin wallet app. 12. Scanning QR Code is a shortcut to Send, and is the fastest way to send a payment for goods and services. When you scan a QR code presented to you by the receiver, the receiver’s bitcoin address and bitcoin amount will be immediately transferred to your phone. You may then proceed to key in your secondary password (if you’ve set it) and send that payment. For more information on performing transactions with your Blockchain bitcoin wallet, see Sending and Receiving Bitcoin.